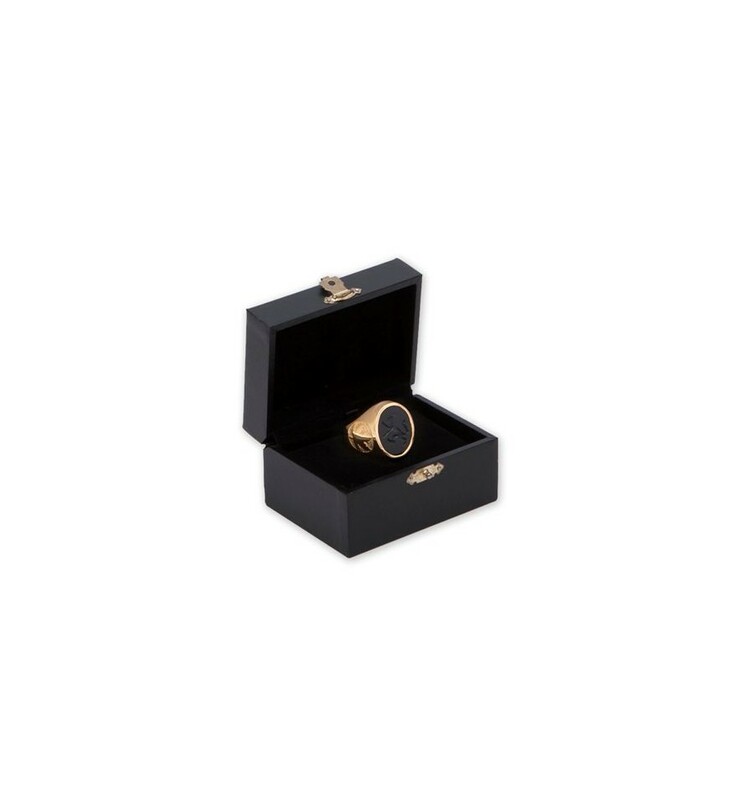 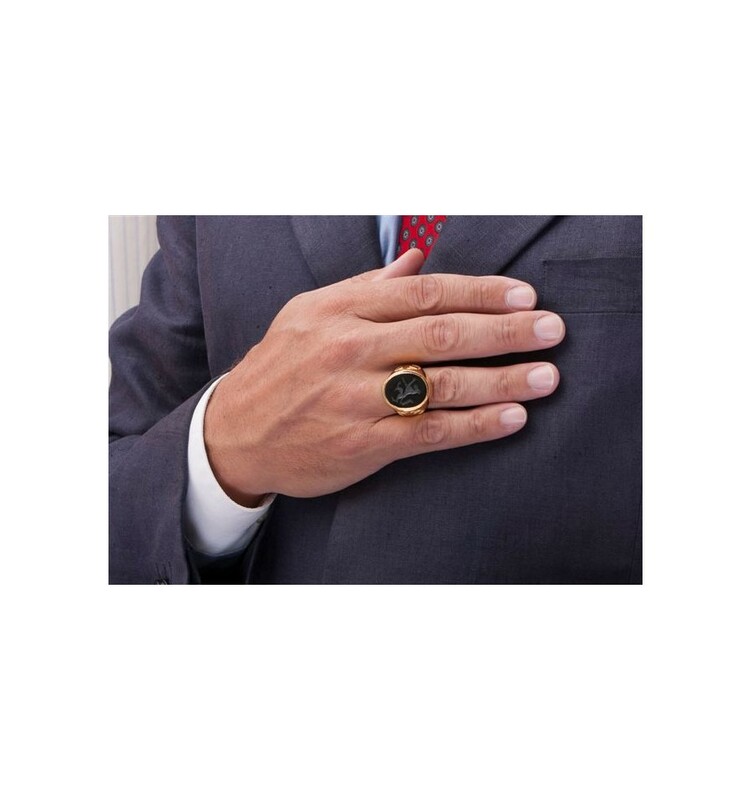 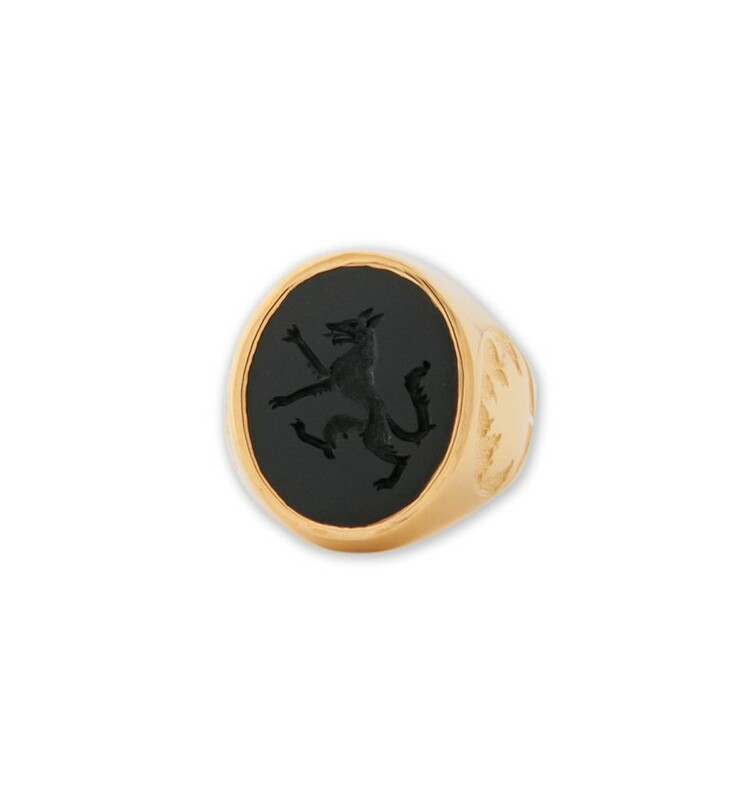 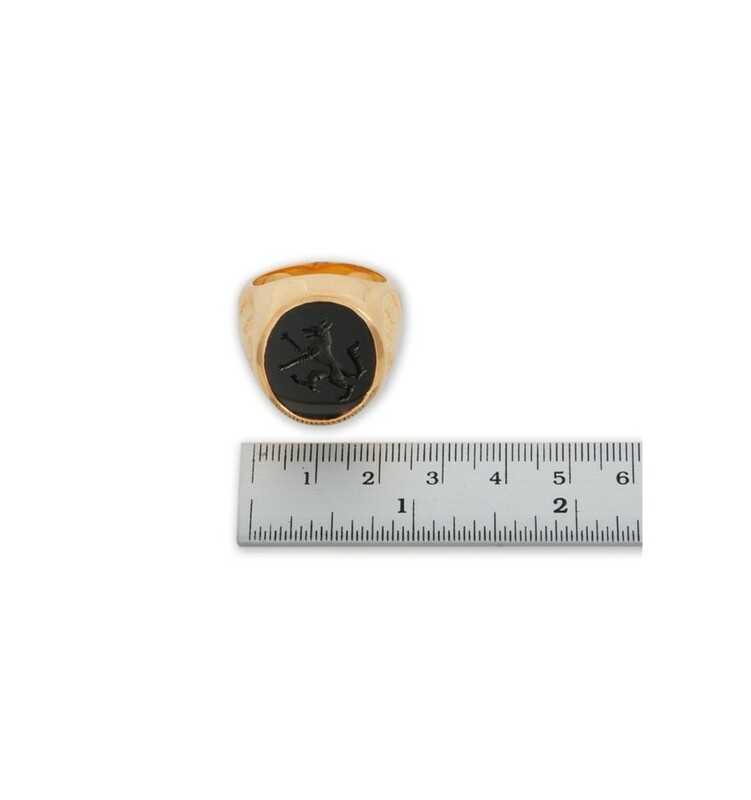 A family crest ring featuring quality Black Onyx and an intaglio engraving of a heraldic wolf rampant and maple leaf designs on both shoulders. 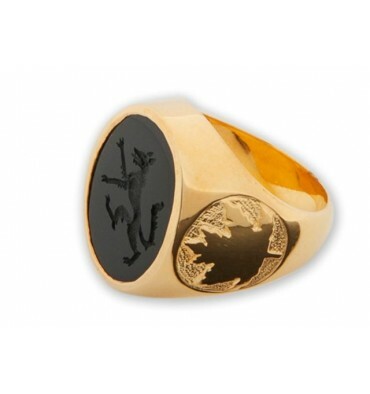 A fine Black Onyx hand engraved intaglio wolf rampant family crest ring with Maple Leaf designs for shoulder embellishments. 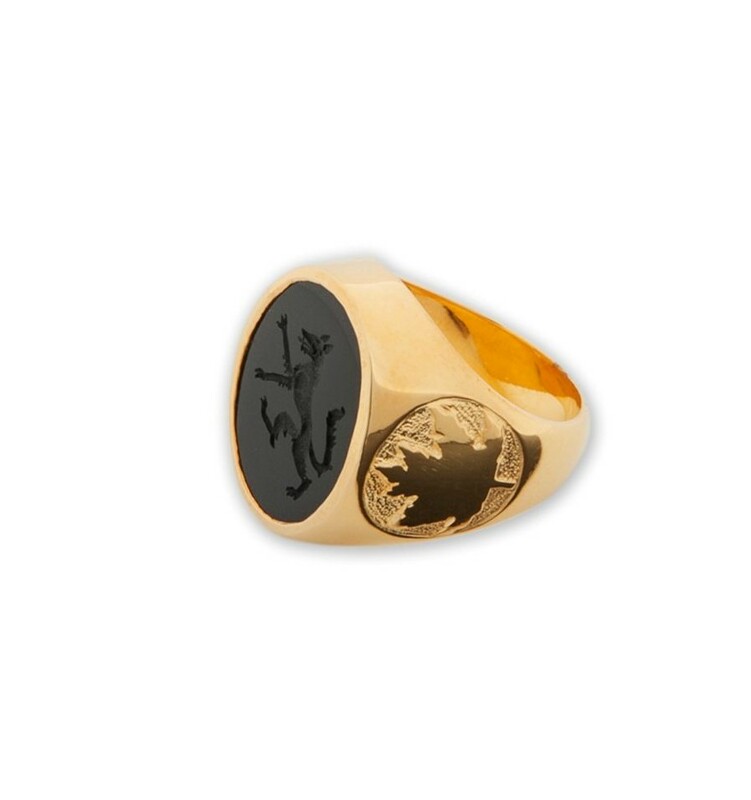 That's why our high quality family crest rings are so affordable.